Conifers, also known as evergreens, keep most or all of their foliage through the cold winter months. Called conifers because they produce cone-shaped seed pods, conifers can be categorized as narrow-leafed, broad-leafed or deciduous based on type of foliage. Most evergreen trees prefer full to partial sun, but some tolerate shady conditions. Full-sun conditions means at least 6 hours of direct sunlight each day. Though many conifers prefer full sun, a few absolutely cannot tolerate shade. These include pitch (Pinus rigida), red (Pinus resinosa) and Scots (Pinus sylvestris) pines; many cedars, including Atlantic white (Chamaecyparis thyoides), deodar (Cedrus deodora), Eastern red (Juniperus virginiana) and Japanese (Cryptomeria japonica); and other conifers including Black Hills spruce (Picea glauca), Colorado spruce (Picea pungens), Douglas fir (Pseudotsuga menziesii), laurel oak (Quercus hemisphaerica), live oak (Quercus virginiana), loblolly pine (Pinus taeda), longleaf pine (Pinus palustris), Norway spruce (Picea abies), Rocky Mountain juniper (Juniperus scopulorum), Serbian spruce (Picea omorika) and white fir (Abies concolor). Many conifers thrive in light shade, or 4 to 6 hours of sunlight per day. These include American arborvitae (Thujus occidentalis), Carolina cherrylaurel (Prunus caroliniana), giant arborvitae (Thuja plicata), loquat (Eriobotrya japonica), Norway spruce (Picea abies), Prince of Wales juniper (Juniperus horizontalis Prince of Wales), wax myrtle (Myrica cerifera), white pine (Pinus strobus) and Winton Carpet juniper (Juniperus horizontalis Winton Carpet). Partial-shade locations receive 2 to 4 hours of sun per day. 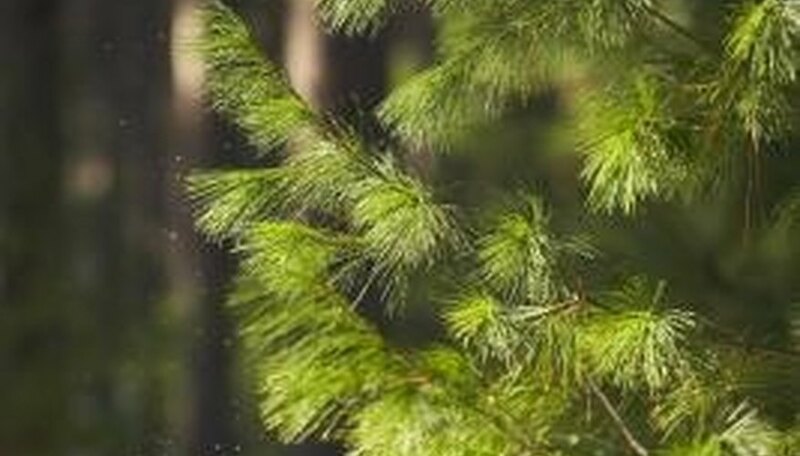 Conifers suitable for partial-shade conditions include balsam fir (Abies balsamea), Pfitzer juniper (Juniper chinensis Pfitzeriana), Savin juniper (Juniperus sabina), Sargent juniper (Juniperus chinensis Sargentii) and Swiss mountain pine (Pinus mugo). Shade locations are those that receive less than 2 hours of sun per day. Shade-tolerant evergreens include Carolina hemlock (Tsuga caroliniana), Eastern hemlock (Tsuga Canadensis), Emerald arborvitae (Thuja occidentalis Smaragd), Globe arborvitae (Thuja occidentalis Globosa), Japanese dwarf yew (Taxus cuspidata Nana), Japanese spreading yew (Taxus cuspidate), Taunton spreading yew (Taxus x media Tauntoni) and Techny arborvitae (Thuja occidentalis Techny). University of Tennessee; Evergreen Trees for Screens and Hedges in the Landscape; Donna Fare, et al.